Advancing medical modeling and simulation training to improve patient care and education and developing new standards and technologies through active collaboration. 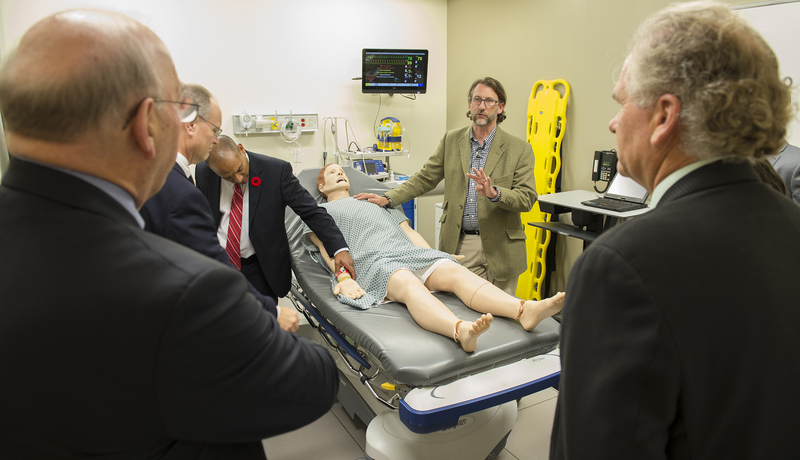 The National Center for Collaboration in Modeling and Simulation (NCCMMS) is a joint effort of Eastern Virginia Medical School (EVMS) and Old Dominion University (ODU) that was formally established by Congress in 2001. NCCMMS is led by Don Combs, PhD, Vice President and Dean of the School of Health Professions at EVMS. The Program Director is Bob Armstrong, Executive Director of the Sentara Center for Simulation and Immersive Learning at EVMS. The NCCMMS will be a national leader in, and Hampton Roads will be a recognized region for, medical modeling and simulation collaboration and development.